HONG KONG - Hundreds of Hong Kong pro-democracy protesters on Saturday rallied against the government’s attempt to ban a political party, saying it dealt the most serious threat to the city’s freedom of association since its return to Chinese rule. Organizers said 1,200 protested, while the police estimated 600 attended at the peak. The city’s security chief said on Tuesday the police had advised him to ban the Hong Kong National Party, which openly promotes the city’s secession from China. 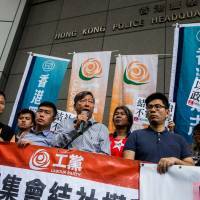 But the developments mark the first time since Hong Kong’s handover from British to Chinese rule in 1997 that the government has moved to outlaw a political organization. Piercing through the chants was the shrill of about 100 black whistles — a local metaphor for injustice. Hong Kong has a separate political and legal system from China under a “One Country, Two Systems” principle, which promises the city a high degree of autonomy and a wide range of freedoms, including freedom of speech and freedom of association. But after a months-long “Umbrella Movement” street occupation in 2014 failed to pressure Beijing to allow full democracy in Hong Kong, calls for independence emerged. Chinese President Xi Jinping has said any attempt to challenge China’s national sovereignty crosses a red line. 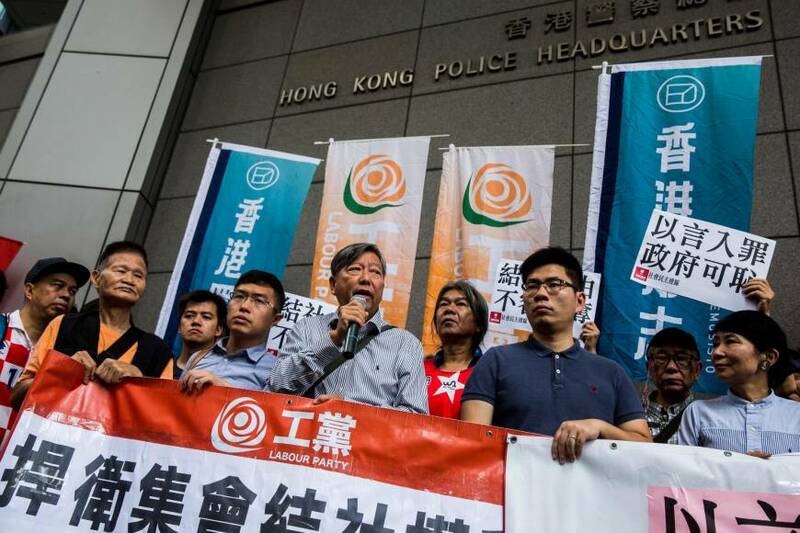 Benny Tai, a law professor at the University of Hong Kong and an initiator of the Umbrella Movement said the proposed ban on the Hong Kong National Party was part of a wider trend of using existing laws to restrict political freedoms.